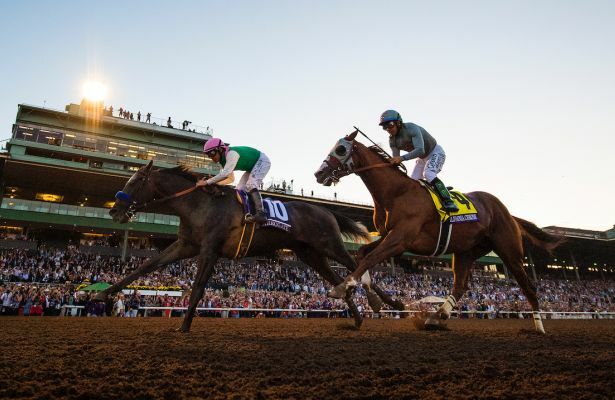 Breeders’ Cup, one of Thoroughbred horse racing’s most prestigious international events, on Wednesday announced that tickets for the 2019 Breeders’ Cup World Championships will go on sale to the public at noon ET March 4. The 2019 event will be held at Santa Anita Park in Arcadia, Calif., for a record-breaking 10th time. Following a record-setting two-day attendance of 118,484 at the 2016 Breeders’ Cup World Championships at Santa Anita, reserved seating is expected to sell out quickly. Fans are therefore encouraged to sign up now at BreedersCup.com/2019 to receive information and privileged pre-sale access which will allow them to purchase tickets before they are released to the general public on March 4. One of the most premier horse racing venues in the country, Santa Anita Park has invested more than $35 million toward infrastructure since the event was last held in the venue in 2016. To further enhance the guest experience at the upcoming Breeders’ Cup, the track will be investing an additional $5 million over the coming months to add premium seating, renovate its dining venues and install new outdoor suites. The 36th running of the Breeders’ Cup World Championships will be held on Friday, November 1, and Saturday, November 2, and will be televised live by NBC Sports Group.